pHaasE is a rest product from a series of experiments with the Haas effect. 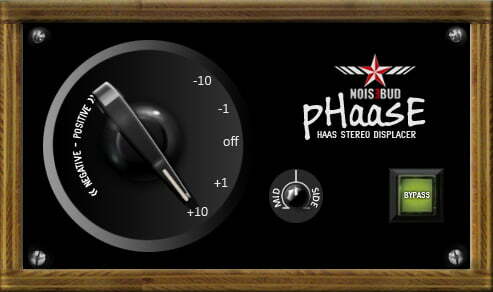 pHaasE delay the side information within the Haas time boundaries and totally screw up your audios imaging but will leave a totally new stereo image which might sound very pleasing both on single elements in the mix or in a mastering situation. At first we didn’t intend to make public versions of the experiment but we found the technique to be useful and in some cases it could save badly imaged mixes with great sounding results. It can also help to even out the imaging in film audio, a bit like mono’ing a stereo recording for more focus but still have stereo.